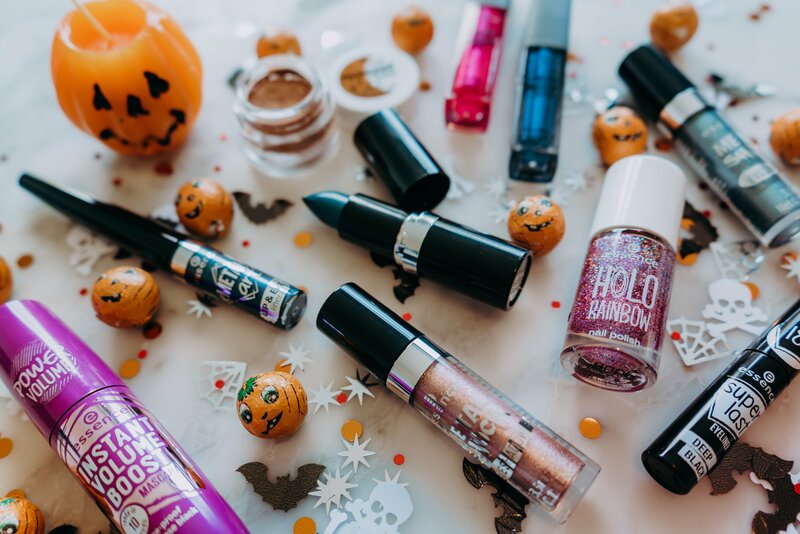 essence Halloween Makeup! Trick or Treat? With Halloween fast approaching it is time to get your hands on some more extreme makeup! A brand that I would always recommend for this is the essence. They are always very reasonably priced. You can now find their trend edition cosmetics at your local Wilkos in the UK. 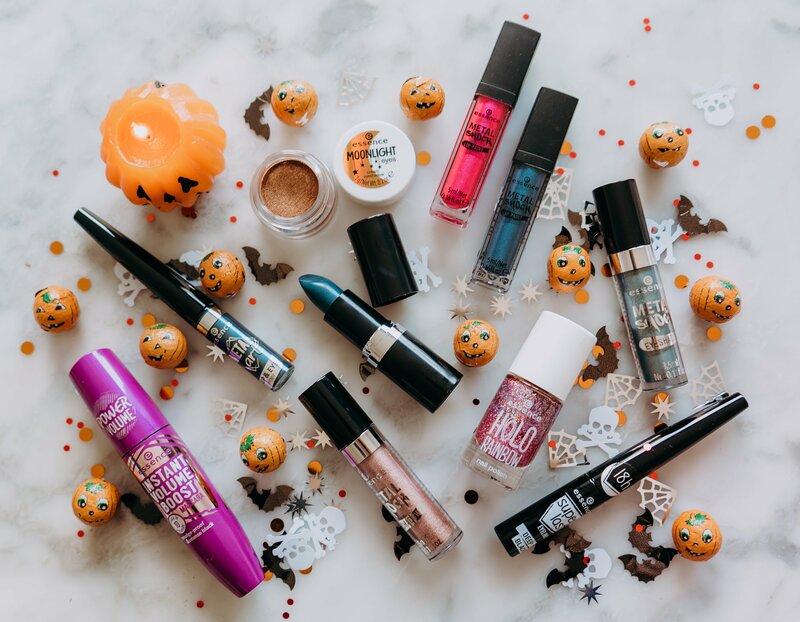 Have a look at just a small selection of the essence Halloween makeup! 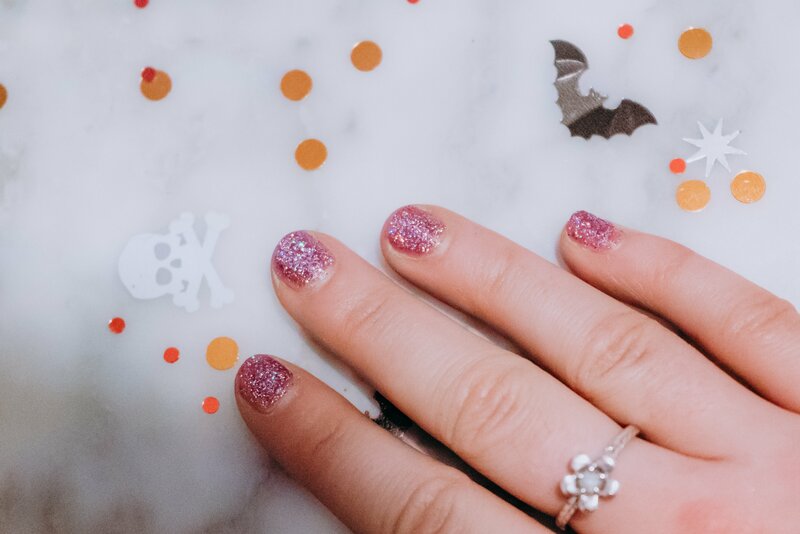 Whether you are going extra spooky or wanting to glam it up essence, have what you need. I have had so much fun playing around with their new items. For me I especially love their Metal Shock Lip Paint in the shade 02 belladonna. 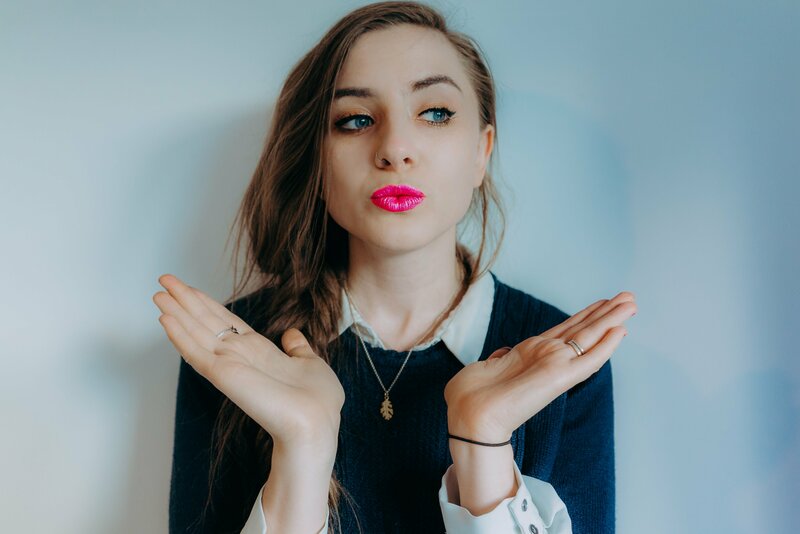 This will definitely be the lip colour I will be rocking this October 31st! I used the Essence Metal Art Lip and Eyeliner Rock Chick 05 to line my lips to get the perfect shape. 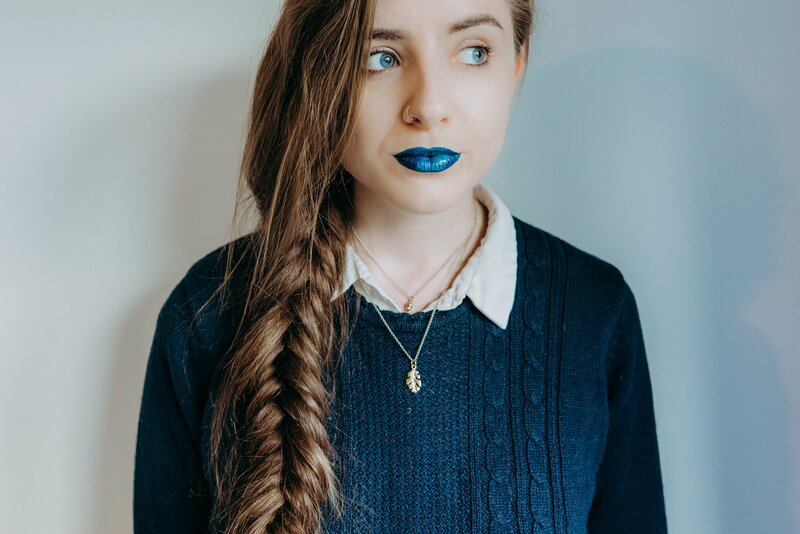 I then used the Lip Stick metal shock 06 Stargazer underneath, but it didn’t need it, the lip colour it dramatic and strong on its own. 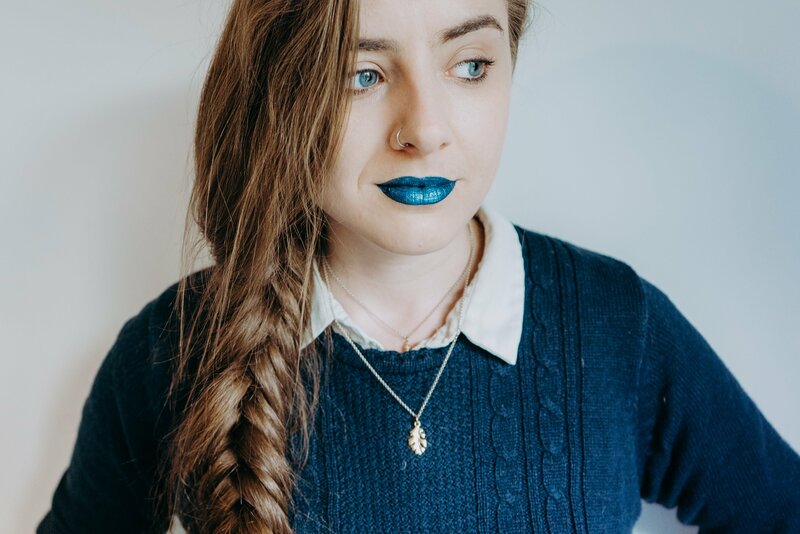 I was also shocked by the pigmentation in the Metal Shock Lip Paint in the shade 03 lilly of the valley. 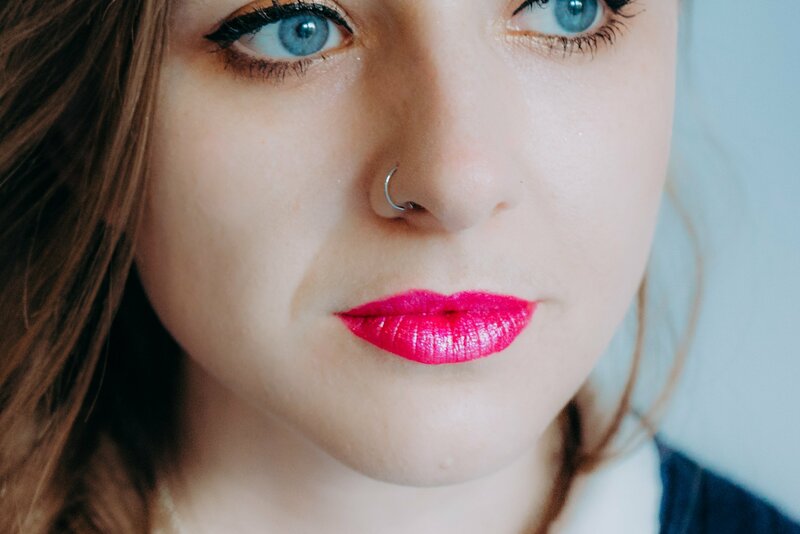 A vibrant metallic if you want to look pretty in pink. The lip colours didn’t stain which was a plus but didn’t have the best-staying power. For me, they never dried. This was good when it came time to remove it, but if it was on a night out I recommend keeping the lip paint with you for top ups! Both are very pigmented, a one swipe kind of product. 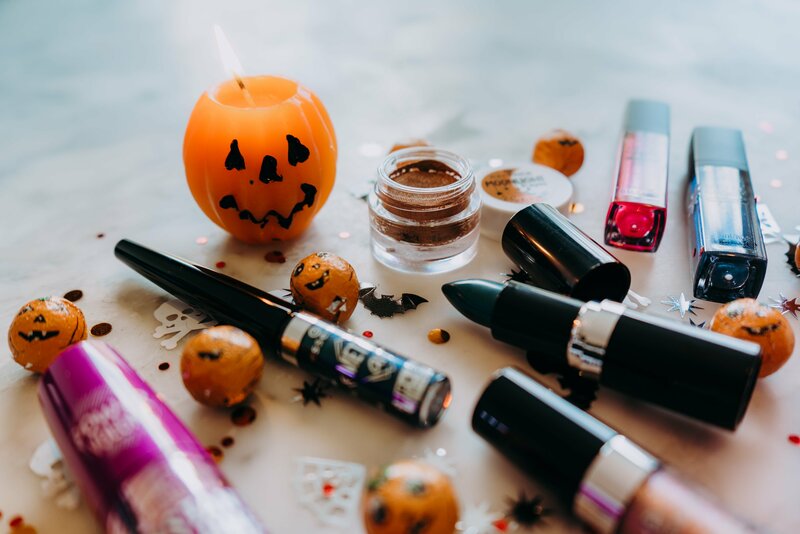 There is a range of shades, perfect for a spooky look on a budget. On my eyes, I have been trying out a few combinations too! I loved the super last eyeliner in deep black. It was effortless to apply and did last well. I paired it with the essence moonlight eyes cream eyeshadow in 04 guilded. 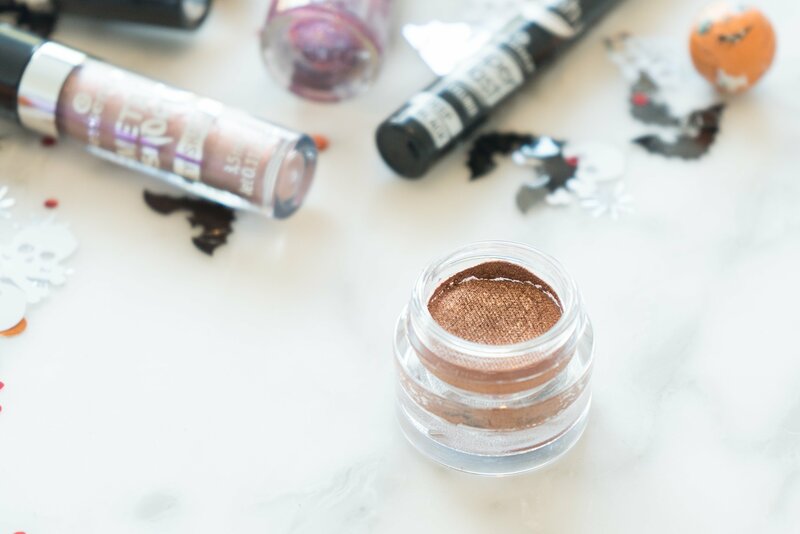 I am always drawn to copper, shimmer eyeshadow. This cream eyeshadow was easy to blend and apply with your fingertips. The Essence Metal Shock Eyeshadow Stars and Stories 02 and Essence Metal Shock Eyeshadow Supernova 04 are also very easy to apply, bend and have a strong metallic pigment. You can keep it a strong metallic or blend to a soft shimmer. I always reach for essence mascaras; I find them no different to high-end mascaras. The instant volume boost mascara does the job even if it isn’t my favourite mascara brush from the range. This item that brought the most joy has to be the Holo Rainbow Nail Polish in 04 Holo Love. A dazzling polish with an amazing holographic effect after two coats! 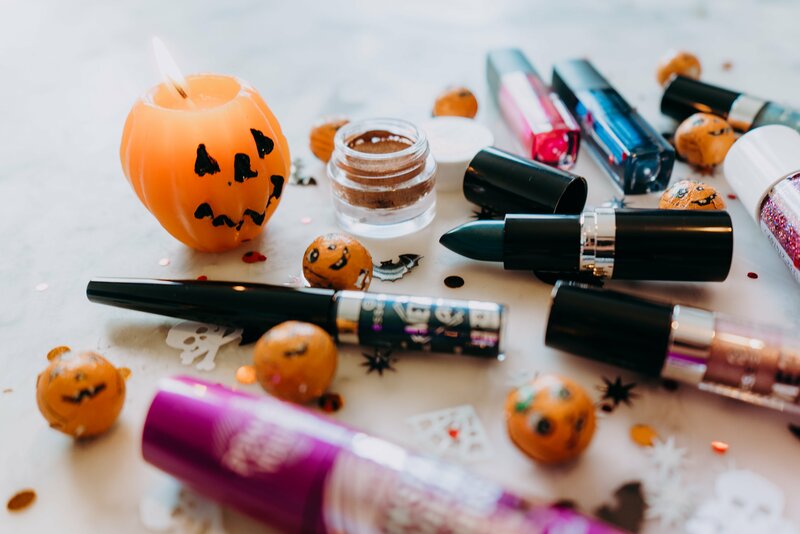 If you have loved my essence Halloween makeup share, be sure to visit my other posts about essence which you can find here.